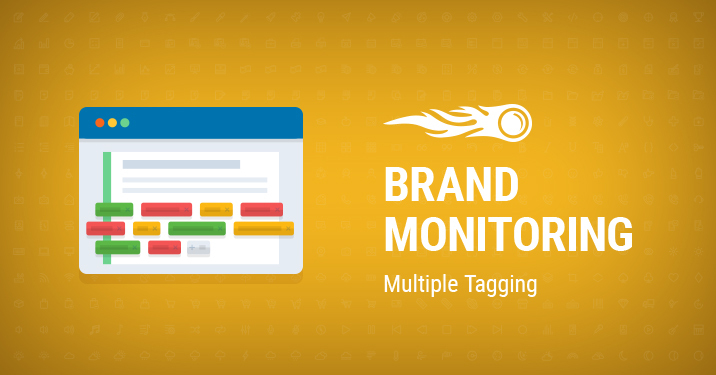 The Brand Monitoring tool is gaining momentum faster than ever thanks to your invaluable feedback. Recently, you asked us to rethink the mentions selecting feature in order to make it more convenient. Well, we went above and beyond! Check out the new selecting and tagging system. The more of your brand mentions you find, the better! And the more flexible the interface it takes to work with a huge amount of data. Now when you select at least one mention, the tool will offer to also select all mentions on the page, or all found mentions. Once your mentions are filtered, you can mark them and then perform multiple actions, including tagging. Nothing will escape your notice now! This new functionality will help you sort and filter the necessary mentions in no time. Your wish is our command, so don’t hesitate to share your ideas and suggestions by emailing us at [email protected]. Thanks for making SEMrush better!